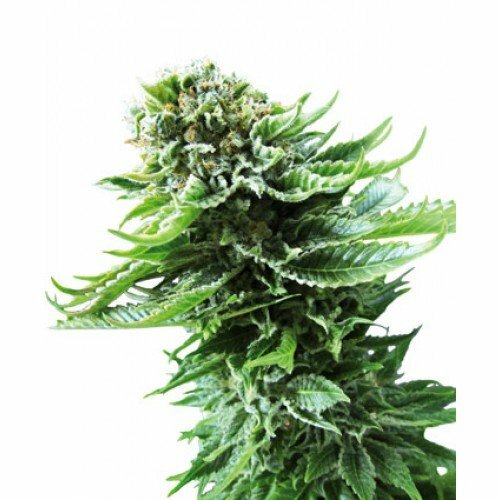 Sensi seeds feminized auto Northern Lights is an autoflowering version of the great indica dominant strain northern lights. With a super fast flowering time you still get the knockout indica potency of this great cannabis strain. With our new Northern Lights Automatic, the legendary Afghani Indica makes her debut as a feminized auto-flowering strain! With no need identify and eliminate males, and no need to even change lights cycles to induce flowering, its never been easier to grow the definitive example of cannabis Indica – Northern Lights from Sensi Seeds! The original Northern Lights genotype has been famous for decades as the source of industry-changing strains and individuals such as NL#1, NL#2 and NL#5, as well as crucial hybrids such as NL 5×2, Shiva Skunk, Hash Plant, Silver Pearl and Northern Lights #5 x Haze. Northern Lights Automatic has been bred from the same rock-solid gene pool, blending NL#5 and NL#2 with our best feminised auto-flowering Indica, back-crossing with the NL parents. Like most of her family, Northern Lights Automatic is usually grown indoors, under lights, though this strain can also perform very well outdoors in a warm, sunny Mediterranean climate. Indoors or out, NL Automatic can progress from germination to harvest in as little as 11 weeks! Flowering typically begins 20 to 30 days after seedlings emerge from the soil, regardless of photoperiod, and NL Autos blooming phase is complete within 50 to 60 days. Indoor growers who give a more hours of light per day (say, 18 hours instead of 14) may see the flowering cycle completed slightly faster, but the difference is usually negligible. Northern Lights Automatic normally attain a height of 60-90cm by harvest time.